Mayuri Pralhad Patankar is a research scholar currently based in Delhi. She has been collecting, archiving, and writing about literature and folklore of the Vidarbha region of Maharashtra with the help of her adivasi friends. Sunher Singh Taram is the founder and editor of the little magazine 'Gondwana Darshan'. He has also edited a collection of short stories titled, Viraasat Mein Mili Gondi Kahaniya ('Gondi Stories Received as an Inheritance', 2015). He has contributed to the revival of an annual pilgrimage at the Kachargarh caves and the creation of an active readership among the Gond community. Taramji avers that adivasi arts and traditions do not find representation in history-writing and knowledge-systems of modern India. 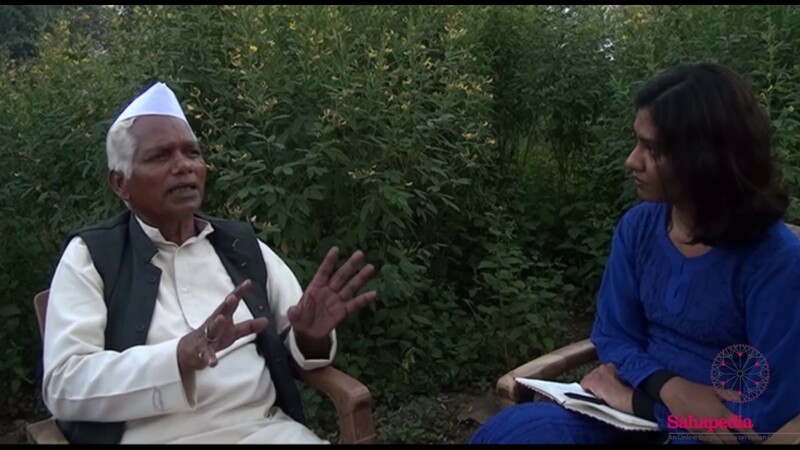 In this portrait-driven interview, we hear about the socio-cultural factors that drove Taramji to initiate a pilgrimage and monthly magazine in Hindi for the Adivasi community. He delightfully narrates the myths and beliefs related to the deity Kali Kankali and explains the kinship and political structures of the Gond community. The listeners are drawn in to reflect on his personal anecdotes, mythical narratives, and the social implications of his work. He places the myth of Kali Kankali at the centre of the community and urges the listeners to see the world from the perspective of the adivasis. Kali Kankali’s story became one of the means to invite the adivasi community to an annual gathering. In the 1980s, the cultural leaders of the Gond community, namely, K.B. Marskole, Motiravan Kangale, Sheetal Markam, Bharatlal Koram and Taramji visited the Kachargarh caves and decided to initiate a pilgrimage there. Soon, the annual gathering turned into a means of educating the adivasis about their culture and rights. Taramji envisions the pilgrimage as serving the function of the traditional Ghotul system. In the traditional imaginary, the Ghotul is a place for teaching and learning about one’s culture. The adivasi community that is dispersed in different states of modern India can now communicate within itself. Narrated with wit and humour, Taramji’s personal anecdotes are reflective of a life intensely invested in social reform. In the year 2012, Taramji along with his wife Ushakiran Atram moved to Dhanegaon village in Gondia district of Maharashtra. He continues to work for his magazine and language conservation projects.